The Copperhead, first published in 1893, is an extraordinary tale by the Upstate New York-bred novelist and New York Times London correspondent Harold Frederic. Now it is a feature film, directed by Ron Maxwell (Gettysburg, Gods and Generals) and with a screenplay by Bill Kauffman. The Copperhead is the story of Abner Beech, a stubborn and righteous farmer of Upstate New York, who defies his neighbors and his government in the bloodyd and contentious autumn of 1862. The great American critic Edmund Wilson praised The Copperhead as a brave and singular work which "differs fundamentally from any other Civil War fiction." The Copperhead depicts the Civil War at home--a family ripped apart by war, fathers set against sons and daughters, a community driven to an appalling act of vandalism against a man who insists upon exercising his right to free speech during wartime. It is a deeply moving examination of the price of dissent, the place of the individual amidst the hysteria of wartime, and the awful cost of war--a cost measured not in dollars but in fractured families, broken loves, suspicion and paranoia, and men dead before their time. 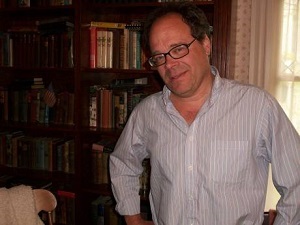 Screenwriter Bill Kauffman is the author of nine previous books, among them Dispatches from the Muckdog Gazette and Ain't My America. His work has been praised by Edward Abbey, Christopher Hitchens, and Gore Vidal, who said "Kauffman and I are the original patriots." Bill lives in his native Upstate New York with his wife Lucine and their daughter Gretel.